Operating in Austin, Texas, in the late 1970s and early 1980s, Jet Industries was known primarily for the conversion of a variety of vehicles to electric power, which were then marketed under their own name with new model names. They are believed to have produced several hundred conversions in total. Their primary markets were universities, utilities, and other urban situations that wished to appear to be more environmentally friendly. 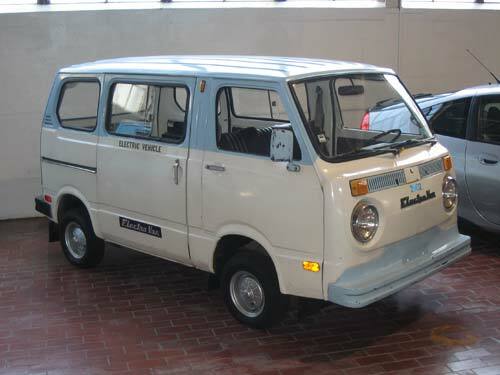 The Jet 600 ElectraVan is a converted Subaru 600 minivan. At least 100 were produced. The rear seat has been sacrificed in order to accommodate the twelve 6-volt batteries. The battery box is in the middle of the vehicle to keep the weight centralized. This electric conversion is somewhat unusual because it retains the original 4 speed transmission when most electric vehicles have no transmission. The range of this vehicle is approximately 30-50 miles.